Do you drive up to your home and find yourself either uninspired or not very welcome? Whether you’ve just purchased your home or have been there for years, it might be time to ramp up your home’s curb appeal. Take these recommendations from the experts and you’ll be admiring your home as you drive up in no time! Stand across the street from your home with a pad and pen. Take a good assessment of the condition of both the landscaping and exterior of your home. You won’t need to spend a fortune to make a huge impact. Make a list of items that need to be addressed. Enlist a friend to lend a critical eye that may see things you’ve been looking at for so long you no longer notice. The first item to address is the landscaping. Trim all shrubbery below the window frames. Ensure that all walkways and stairways are free of shrubs and branches for safety as well as aesthetics. Tree limbs and branches should be trimmed at least eight feet above the ground for easy mowing clearance and to allow light in the house. 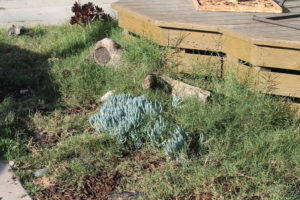 Redefine beds surround the house and trees as needed with either fresh mulch or pine straw. Select an area either by the front porch or mailbox for a small grouping of bedding flowers. This is the easiest task to improve curb appeal. Assess the gutters, trim, shutters and front door. Repair hanging gutters as necessary. Put a fresh coat of paint on the shutters and front door to complement the existing house color. Head to Gearbest to purchase a new welcome mat, house numbers and mail box. These will make a huge difference in how welcome you are pulling up to your home. A little planning, a few trips to the hardware store and a weekend of work will produce a tremendous change. Going forward, it will only be a question of maintaining the exterior of your new, welcoming home! Good look on your project, it will pay off for years to come.